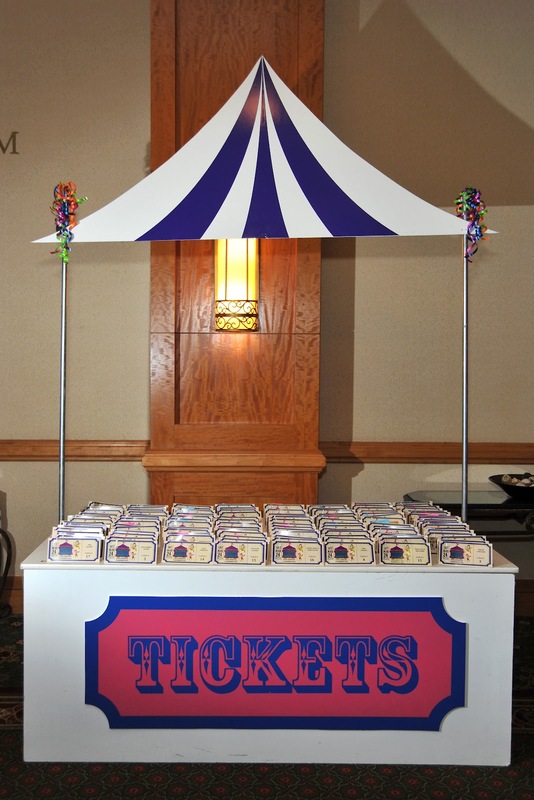 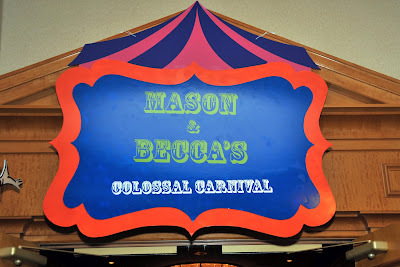 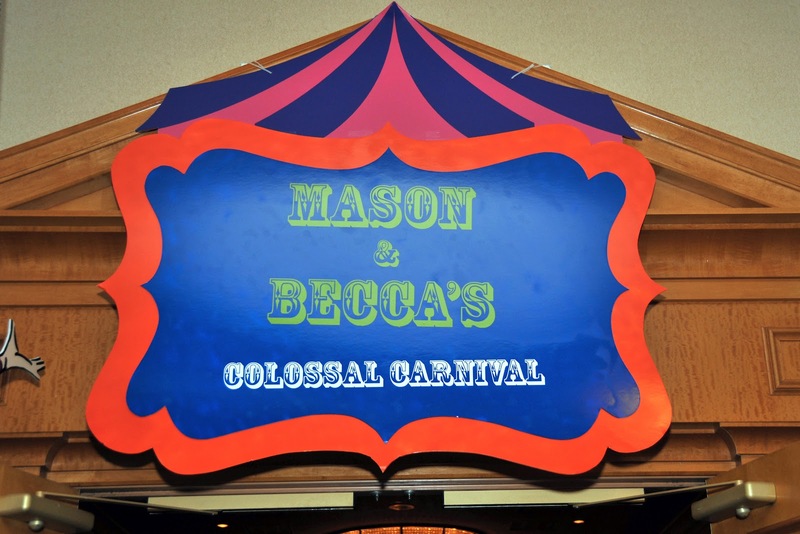 This Colossal Carnival themed mitzvah was for 2 best friends (a boy and a girl). They were adorable together and seemed like brother and sister. 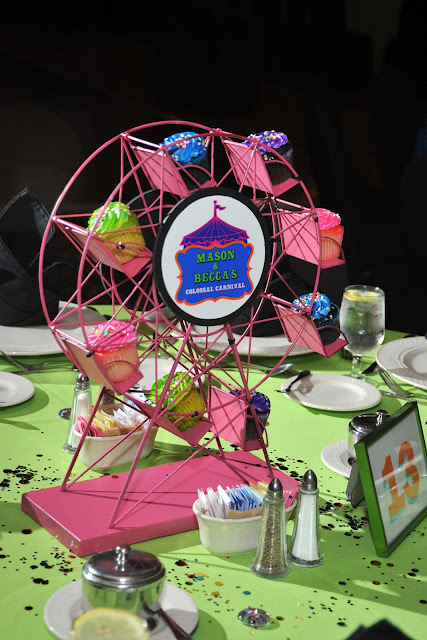 They didn’t want the color scheme to be too girly or too masculine, so we went with royal blue, lime green, orange, purple and hints of pink. 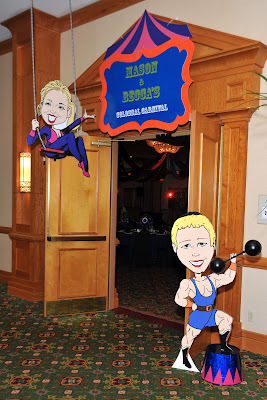 The “strong man” and “beautiful assistant” were inspired by caricatures that the two teens received at another mitzvah. They were just head shots so we created the rest of the bodies and made theme into life sized entrance pieces. 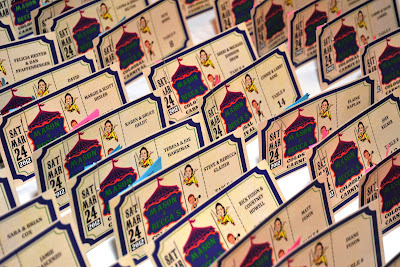 The ticket placecards also had the strong man and beautiful assistant on each card as well as the big top tent logo. 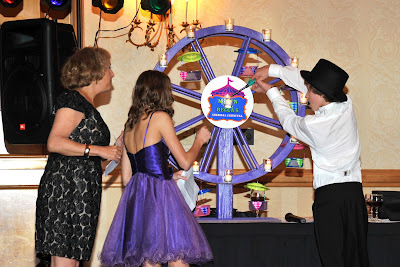 Here are the two guests of honor lighting the ferris wheel candle lighting. 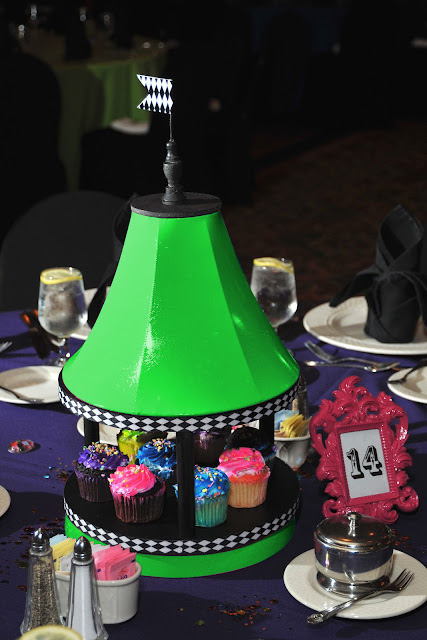 We made 3 different centerpieces using the color scheme, harlequin pattern and logos. 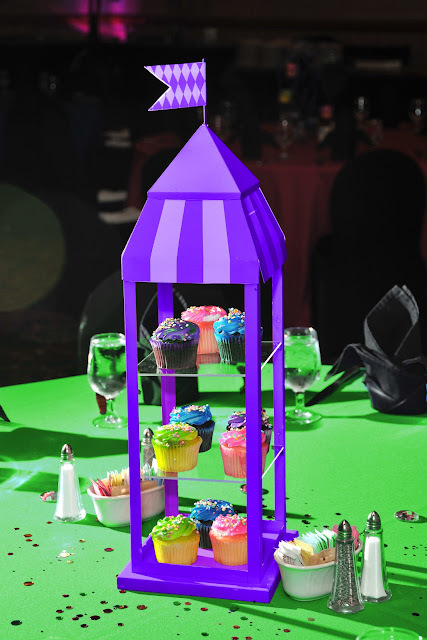 The centerpiece above is the carousel that housed brightly colored cupcakes. The second centerpiece was a tiered “tent” cupcake holder. The third centerpiece was a ferris wheel cupcake holder. We hung giant balloons from the ceiling and created a tent effect with satin fabric above the dance floor. 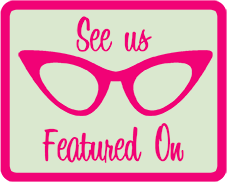 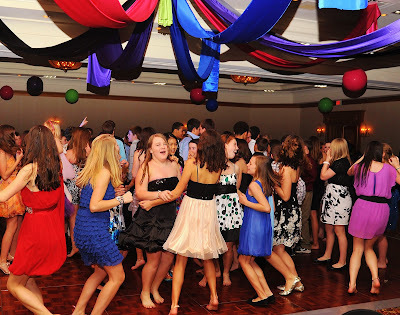 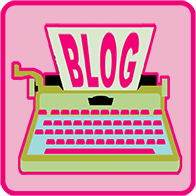 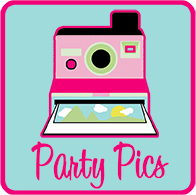 This entry was posted in Bar Mitzvah Party, Bat Mitzvah Party, Carnival Party, Circus Theme Party on June 1, 2012 by Setting the Mood.